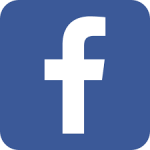 Like and Follow us on Facebook to get weekly Reverse Mortgage news updates! The HECM financial assessment evaluates sources of income including liquid assets. It will consider the existing mortgages that are paid off from the proceeds of the reverse mortgage so no longer having mortgage payments will make it easier to qualify. Satisfactory credit includes all housing or mortgage payments paid on time in the last 12 months, have no more than two 30 day late payments on installment debt in the last year and no major derogatory credit issues in the last twelve months. There will be consideration for extenuating circumstances and compensating factors. If income or credit doesn’t meet the standards a set aside account may be required to fund future property taxes and homeowner’s insurance. In some cases, borrower’s may be declined because of the assessment. The purpose is to measure the borrower’s willingness and ability to meet financial and homeownership obligations. The HECM reverse mortgage is not intended to be a short term ‘fix’ but provide long term solutions. The assessment should help meet those goals. Be Prepared for Counseling prior to scheduling appointment. June 2010 – Generation Mortgage Offers New Jumbo Reverse Mortgage Loan for Homes up to $6 Million! Exclusive Generation Plus fixed-rate loan provides seniors higher payout! ATLANTA, June 1 /PRNewswire/ — Generation Mortgage Company™, the largest privately owned reverse mortgage retailer and wholesaler in the United States, today announced the availability of a new jumbo reverse mortgage loan for homes valued up to $6 million. Currently, the only fixed-rate jumbo reverse loan offered industry-wide for higher-valued homes, Generation Mortgage’s Generation Plus™ loan product caters to a presently underserved consumer segment, seniors owning homes appraising higher than $1,000,000. For the Generation Plus reverse mortgage loan product, the minimum appraised home value eligible is $500,000 while the maximum value is $6 million. Available in most states throughout Generation Mortgage’s national footprint, the jumbo Generation Plus loan is offered at a fixed rate and may be obtained on primary residential homes, including FHA-approved townhomes. Payout is completed at closing and may be used for any purpose, including covering medical expenses or making home repairs or improvements. February 2010 – New federal budget proposes increase in reverse mortgage MIP-Changes expected for HECM reverse mortgages would negatively impact seniors. The Administration’s proposed Fiscal Year 2011 budget for HUD would increase the ongoing mortgage insurance premium on HECM’s from 0.5 percent to 1.25 and reduce principal limit factors.If congress approves of the proposal, it will take effect October 1, 2010.Impact on borrowers will be a higher expected calculating rate resulting in less money in the homeowner’s pocket and higher mortgage insurance costs adding to the loan balance. Seniors and concerned family members may want to ask their representatives in congress not to increase mortgage insurance premiums and lower the amount they can receive. It is important that reverse mortgages continue to be a reasonable option for accessing equity and helping seniors maintain their qualify of life. January 24, 2010 Reverse Mortgage Store helps save home from foreclosure. When a bank takes a loss to make the reverse mortgage work it helps the senior homeowner and itself. You’ve heard of short sales, here’s an example of a short refinance. November 16, 2009 – HECM Reverse Mortgage high lending limits will continue through the end of 2010 – great news for California Seniors Homeowners! October 6. 2009 – Interest Rate Reduction for HECM ARMs! This weeks expected rate fell for adjustable rate reverse mortgages. This is good time to lock in a higher principal limit. ‘A Full Fall On The Hill’ by Marty Bell – this article provides a good update on current reverse mortgage legislation and addresses NRMLA’s position. The HR 3288 Bill is up in front of the Senate after the August recess. This very important, critical piece of legislation includes proposals concerning how long the current HECM limits of $625,500 will be extended, if at all. August 3, 2009 – Attention All Condo Owners considering a reverse mortgage! Beginning on Oct. 1, 2009, all condo projects will have to go through an extensive approval process in order to qualify for a reverse mortgage. If you are considering a reverse mortgage, it’s important you apply and get your counseling certificate prior to the end of August to avoid delays or possibly not qualifying at all! Call Maggie O’Connell at 800-489-0986 or e-mail at maggie@rmstore.net. For further information, read this HUD issued mortgagee letter! February 25, 2009 – New HECM limits $625,000 for balance of 2009! HUD has now issued the awaited Mortgagee Letter that brings these new loan limits into effect for the balance of 2009. Contact us to find out how this can benefit you! January 29 2009 – House Passes Economic Stimulus Bill! The House passed the $819 billion economic stimulus bill by a vote of 244 to 188. This includes a provision to increase the single national loan limit for the balance of 2009. It now awaits a vote in the Senate. January 22 2009 – Are the HECM limits to go up to $625,500? 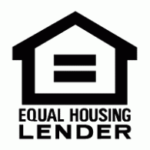 When the Housing and Economic Recovery Act of 2008, HR 3221 passed, there was confusion over the new HECM lending limit. HUD made a conservative decision to cap the limit at $417,000 which has been in effect since November. There is now a Bill in the House containing a provision to increase the HECM limit to $625,500 to Oct. 1, 2013, according to the National Reverse Mortgage Lenders Association.